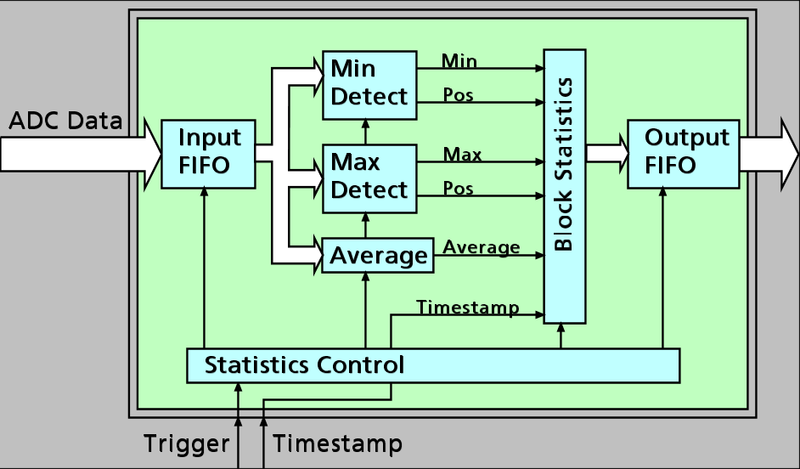 The Block Statistics and Peak Detection Module implements a widely used data analysis and reduction technology in hardware. 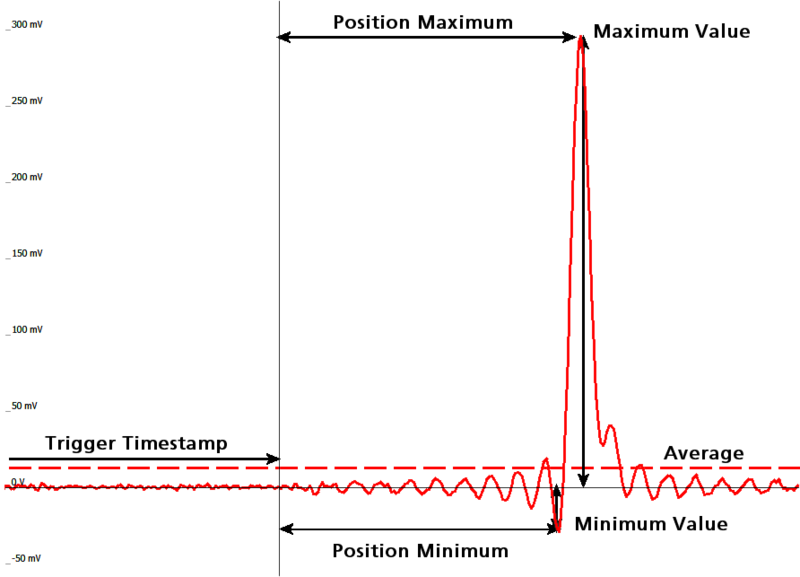 Each block is scanned for its minimum and maximum peak and a summary date set that includes the minimum, maximum, average, timestamps and position information is stored in memory. with C/C++, Delphi, Basic, LabVIEW, MATLAB and many more. The complete Block Statistics and Peak Detection process is done inside the FPGA of the digitizer producing no CPU load at all. This data reduction process decreases the amount of data that needs to be transferred to the host PC further reducing CPU demand and speeding up measurement times. The signal processing firmware also includes the standard digitizer firmware so that normal digitizer operation can be performed with no limitations.